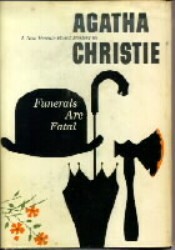 “After the Funeral” was first published in 1953 in UK with this title and in USA with the title “Funerals are Fatal“. Once again, Agatha Christie takes us to the realm of interconnected crimes and resourceful criminals who can use unplanned events for their gain. Richard Abernethie, the owner of Abernethie Empire died with no immediate family to mourn him. He was old and there is nothing suspicious about the death. His extended family comprises of a living brother and sister and children of his late brothers and sisters. The fortune is divided equally and fairly amongst the lot. It is at this reading of will after the funeral that her sister Cora Lansquenet throws the stone in the river by saying: “It’s been hushed up very nicely … but he was murdered, wasn’t he?” This statement makes the family lawyer Mr. Entwhistle uneasy and he starts to wonder about it. 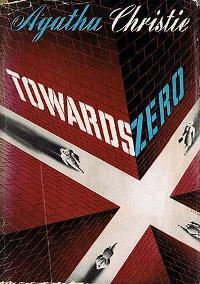 On the very next day, Cora Lansquenet is murdered and Mr. Entwhistle thinks that the murders must be linked. Richard Abernethie’s was the eldest of a family of seven, of whom only he, a brother Timothy and a sister Cora, were still alive. After the death of his own son Mortimer, Richard Abernethie spent time with his nephew George, his nieces Susan and Rosamund and their husbands Gregory Banks and Michael Shane, respectively. He did not find any of them worthy to run his whole business and therefore he decided to divide his fortune equally amongst Timothy and his wife Maude, Cora, his sister-in-law Helen, Susan Banks, Rosamund Shane and George. He also travelled to visit Timothy and later Cora, mainly to reconcile with them over old grievances. Cora had an artistic temperament but never had a great talent herself. As she grew older, she took at going to the garage sales and buying all sort of junk that she imagined were genuine paintings. She lived with Miss Gilchrist who did the house work and kept her company. By all reports, the ladies got along fine. Miss Gilchrist used to own a teashop, but the war forced her to shut the business and take up the post as domestic worker. On her death, Cora left a few paintings and some ornaments to Miss Gilchrist and rest of her small fortune to Susan. Her portion of Richard’s money would be equally divided amongst other beneficiaries. Since there does not appear an apparent motive for Cora’s murder, Mr. Entwhistle comes to the conclusion that Cora must have gained some information regarding Richard before he died. Miss Gilchrist confirms this suspicion by saying that Richard might have told Cora that he was being poisoned. As things get muddier than ever, Mr. Entwhistle decides to rope in our little Belgian friend M. Hercule Poirot. Poirot starts to investigate the family and soon, almost everyone appears to be hiding something, in need of money and with a motive and resourcefulness to kill. Every single member of the family had unaccounted movements on the day that Cora was killed. Poirot feels that the next target might be Miss Gilchrist. And true enough, Miss Gilchrist is poisoned after the inquest for Cora’s death. She survives though, thanks to medical assistance in due time, but her nerves are rattled. Susan arranges for her to go and live with Timothy and Maude. Meanwhile Poirot discovers that Michael Shane is having an affair and Gregory Banks is mentally unhinged and has a tendency to claim that he poisons people. Both Susan and Rosamund are determined to keep their husbands at any costs. On the other hand, George seems to have been swindling money at his firm. Poirot decides to get them together once more and uses his most powerful weapon i.e., conversation. As he starts getting nearer the truth, the murderer is scared. When Helen finds an answer to the questions Poirot and Mr. Entwhistle has been asking, she is knocked on the head before she can reveal the information. 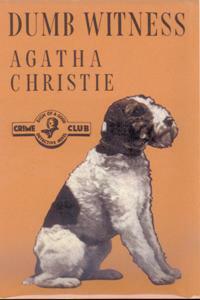 Enjoy the mistress of crime thrillers who understood human nature so well…………….. Previous: Whatsapp Acquired By Facebook | Will It Affect Google?